Swallowcliffe and Sutton Downs in the centre, and Tisbury in the left distance. 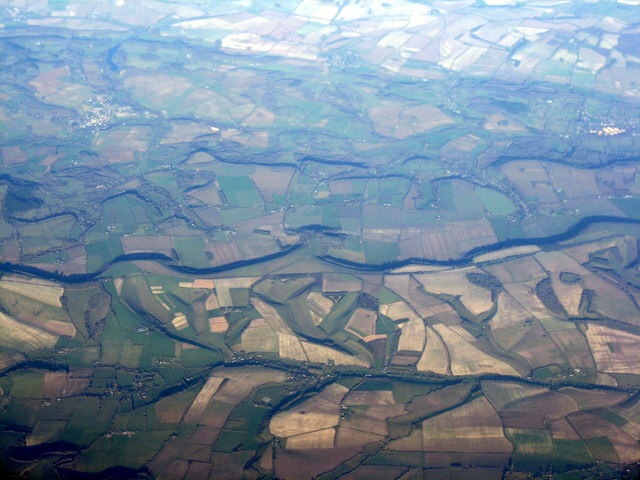 Looking north from about 20000 ft about 14 minutes after leaving Gatwick. The dark crescents are shadows of the wooded scarps, thrown into relief by the mid-morning winter sun.